I made jam all last summer. Lots and lots of jam. Everyone got at least one jar for Christmas (and birthdays and anniversaries and any and all celebrations that required a gift). I still have a lot of jam in the pantry and it is almost time to start canning away again. Veronica’s Strawberry and Banana Bundt Cake is beyond delicious. Strawberry jam is called for and I have used my own freezer jam for this recipe. I think a peach-banana combo would be good too, but I haven’t tried this yet. Head over to My Catholic Kitchen and make this cake as soon as you are able. Jam cookies? I have a delicious Dark Chocolate Blackberry Jam Cookie recipe that I adapted from Joy the Baker. 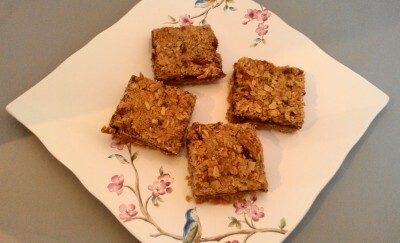 Jam Bars is a recipe I adapted from Kim at Liv Life. For the original recipe, click here. Here is my “slightly” adapted recipe. Preheat oven to 350º. Spray an 8 ” square baking pan with cooking spray and set aside. Combine the brown sugar, flour, baking soda, salt and oats, stirring to combine. Drop the butter and coconut oil into the flour mixture and mix with a fork or a pastry blender to from a crumble. Press about two cups of the mixture into the prepared pan and spread the jam over the top. Sprinkle the remaining crumble mixture on top, gently pressing the crumble into the top of the jam. Bake for 30-40 minutes, or until the bars are lightly browned. Remove from the oven and let cool. Cut into squares and serve. And I recently found this at Epicurious, Marmalade Ice Cream. I can’t wait to try this one. The beauty of any and all of these recipes is that you can use whatever flavor of jam you have on hand. These recipes lend to a lot of creativity. Clean out your pantry and experiment! And, if you are planning your canning adventure for this summer, here are some of my preserve posts from last summer. I have already missed strawberry season this year but look out for next year. 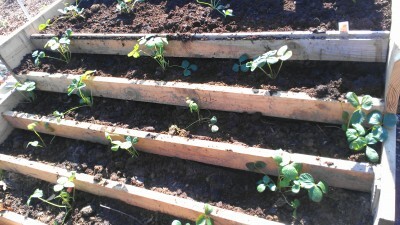 My recently (as of Wednesday) planted tiered strawberry bed. Our peach trees are loaded and it is just a matter of weeks and the local blackberry farm will allow us in to pick. The grapes are loaded as well. Looks like another good jam season ahead! Ooooh wow, those bars look great. Thanks for featuring my cake. I have a friend who made some strawberry jam, but it didnt set up right. I am forwarding a link to you and perhaps she can use a few of your recipes. And, thank YOU for the great cake recipe! Our strawberries are finally ripe so I’m looking forward to getting out and picking a batch (or two). That is so cool! I hope you get a big basket full! I love jam cookies, esp, the when filled with mango or berry jam. 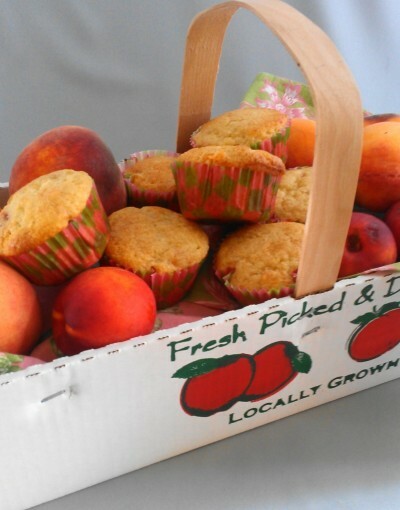 Your peach jam muffins sound wonderful. I’d love to try them! Hope you do. They are super easy. You are so awesome with your jam making and jam recipes! 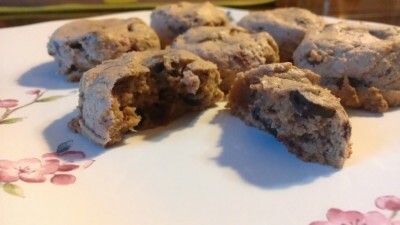 I just saw a recipe for “surprise muffins” on “At Home My Way” where she just takes basic muffin batter and puts a teaspoon of jelly in the middle of the batter–that sounds fun too! We still have baby peaches! Can’t wait for ours to be ready! I bet! I love to watch the fruit mature. Hope you post some peach recipes when they do. You might need some kids to raid your jam stash. Mine never lasts too long as my son is forever asking if I have any jam. It doesn’t last too long around here. Love all your yummy jam recipes, it is wonderful having a store of it in the pantry or freezer, isn’t it? Yep, I do need some kiddos! I made mini-jars if pepper jelly for all the teachers this past Christmas. I think they may all get blackberry this year. You know I’m ready for peach season!! I’ve got a few jars left of your amazing marmalade, but that’s because I’ve been hording and protecting them. I don’t wanna share! I am ready too. We were in TX last weekend and stopped to but some allegedly from East TX. Hope we didn’t get taken. They were good though. I love jam season. I think jam cookies are on my list of to do’s. Thanks, Kim. They actually need to be on my list too again. Thanks for this, Debra. I have some jam that is not worthy to eat as jam…sadly. So, hiding them in baked goods sounds perfect!